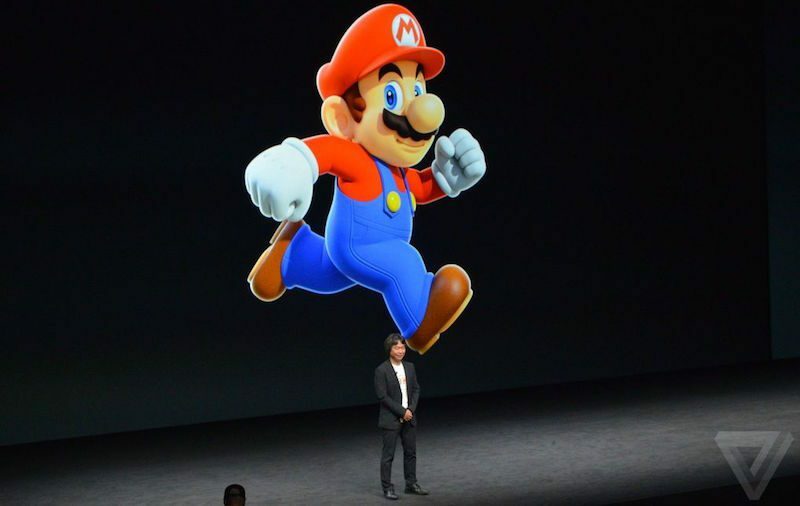 One of the first major surprises out of Apple's September 7 event was the appearance of game designer Shigeru Miyamoto, and the announcement of an all-new Mario game for iOS called Super Mario Run. In the game, players will help Mario navigate various worlds by tapping on the screen to help the plumber jump, dodge, and slide past obstacles and enemies until they reach the flag pole at the end of the stage. During Apple's event, Miyamoto and senior product marketing manager for Nintendo, Bill Trinen, explained the mechanics of the game and its intent for quick burst, one-handed smartphone gaming. Now, in a recent interview with The Verge, Miyamoto divulged more information on the iPhone game, potentially hinting at what the company's outlook on mobile gaming could mean for the other two upcoming DeNA iOS games, Animal Crossing and Fire Emblem. In its time with Super Mario Run, The Verge commented that the game underscores the company's strategy of introducing addicting, but modest experiences on mobile in order to win more players over with full-fledged console games. Super Mario Run ultimately started as an idea that "was too simple for a home console device," Miyamoto said, and that the company's "main focus" is still convincing players to migrate over to its first-party hardware. Still, Miyamoto said he hopes people are "going to want to play a much more in-depth and a more challenging Mario experience … it’s going to increase the population of people interested in coming to our platforms, which is of course is our main focus." It looks to be everything a Super Mario game should be, but also, what it shouldn’t be. Miyamoto’s game has been carefully designed so that it’s simple enough to attract a new audience of iPhone lovers, but not satisfying enough to supplant a console experience. As suspected, the success of Pokémon Go has helped Nintendo push forward in the smartphone space, and helped dictate the experience of Super Mario Run. In the way that Pokémon Go is inherently tied into the GPS and camera functions of a smartphone, Super Mario Run was built around a similar, play-anywhere universality, leading to its "simple... one-handed gameplay" and "shorter play time." Miyamoto cited the success of Pokémon Go as validation of this smartphone-centric approach. "Pokémon Go is obviously a game that uses your GPS and it’s synced into the camera and Google Maps, so it’s a piece of software that’s really geared towards that mobile play experience," Miyamoto said. "So, similarly with Mario, what we’re looking at is simple game play, one-handed gameplay; shorter play time, playing in shorter bursts; and then really bringing the joy of Mario to that much larger audience." With its new iOS Mario game -- which will eventually make it to Android -- Nintendo is also admitting that most kids' first interaction with technology is no longer with one of the company's consoles, but the smartphone or tablet of a parent. This convinced Nintendo to finally put its most famous IPs on mobile devices, and helped them decide to make Super Mario Run a one-time-only paid game, so parents don't have to worry about their kids spending large amounts of money on in-game ephemera. Miyamoto noted that there was a point in time when "[Nintendo’s] hardware system was really the first device that kids would interact with, and that’s starting to shift." The first device kids interact with now, he says? Their parent’s smartphone. This notion of the smartphone "being the first place this kids are encountering games, is what helped us to decide to bring this to smartphones," Miyamoto said. The first Nintendo and DeNA partnership game was Miitomo, which launched earlier in the year, but failed to gain much traction due to its social-focused features that lacked much in the way of a main gameplay hook. Coming next, besides Super Mario Run, are Animal Crossing and Fire Emblem, but details on the games have been scarce. In the original announcement, Nintendo said that Fire Emblem will be "more accessible" in comparison to the console entries in the popular RPG series, and Animal Crossing "will be connected with the world of Animal Crossing for dedicated gaming systems." With the new context of Miyamoto's interview for Super Mario Run, it's possible that the two other upcoming mobile games will continue Nintendo's focus on introducing a pared-down version of each franchise, so that players are encouraged to play the full-fledged titles on Nintendo's consoles. Animal Crossing and Fire Emblem are also said to support a free-to-play structure, so there still remains a chance that Nintendo will differentiate the two titles from its simplified mobile gaming strategy and present gameplay closer to the console titles. Super Mario Run will launch in December, and Nintendo has said that Animal Crossing and Fire Emblem would debut sometime in the fall, but the company has yet to give more specific launch details for those games. Read The Verge's full interview with Shigeru Miyamoto here. I don't understand how Nintendo always misses the mark. Kids who grew up playing Mario, want to play on their phones, when they have time, not sit down and play it on a console. 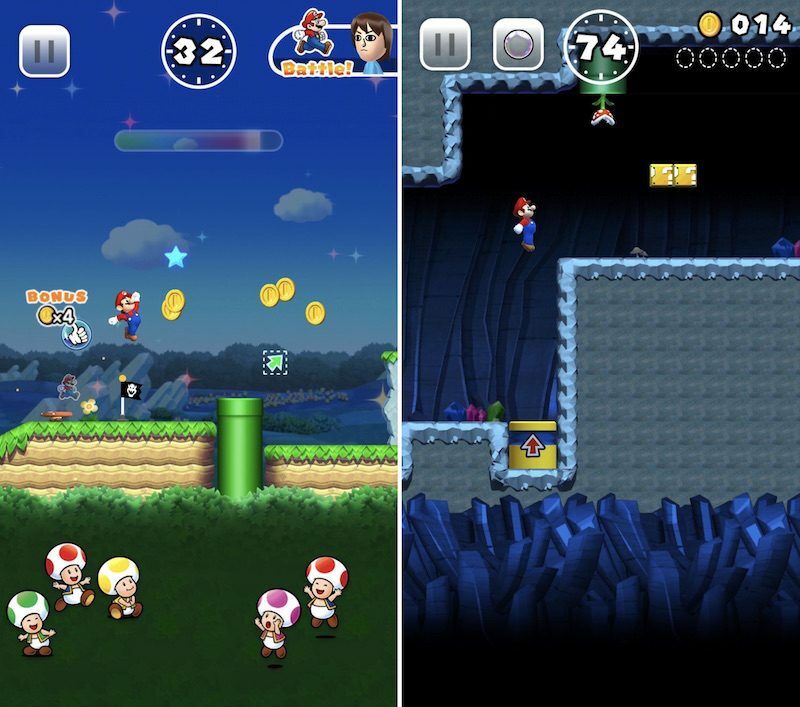 Just make us an awesome Mario game for the iPhone. Let people buy items like the power up leafs, mushrooms, fireplants, Raccoon suits, sledgehammer suits, etc, or extra lives with some sort of in app currency, like other games do. Profit immensely. Everyone is happy. And I was pleasantly surprised to see Miyamoto "Son" on stage. To be clear, it's Miyamoto-san, not "Son". I was initially disappointed with the prospect of another endless runner—it seemed like such a waste of the Mario IP. But on second thought, the endless running doesn't seem all that dissimilar to trying to speedrun a standard level of Mario. If anything, maybe Mario's game mechanics slate it to be one of the better versions of such games. I mean it is huge to have Mario join a non-Nintendo platform, this will draw in a lot of money for Nintendo. And I was pleasantly surprised to see Miyamoto on stage. However, besides the graphics the game seems very basic sadly. I wish it had a bit more depth than your average run & jump iOS game... Maybe a more traditional side scroller would've been great. Or something like that Super Mario 64 Fan remake? I am hoping this comes to the Apple TV. This isn't an endless runner, it has discrete levels designed by hand. Take a look at the Rayman Jungle/Fiesta Run games to see how well it works for fitting a platformer on to mobile. Can't wait for this. Nintendo doesn't "always" miss the mark. You have no idea what you're talking about. Nintendo has dominated handheld console sales since the 80's. They have 3 consoles that were the top sellers in their respective generation; NES, SNES, and the Wii. They are a multi-billion dollar company. Nintendo's DNA is very similar to Apple's, in that they like to drive the entire experience. If Apple followed your suggestion, they would port the iOS over to Samsung phones to make a quick buck. As long as the price is sensible they will sell millions of copies of this. I still think they are being too cautious, but still the right direction. I'm not sure why he hopes the new iOS game will draw people to Nintendo's hardware. Does he get a cut of hardware sales? I suspect that like many people my age (mid-30s), I'll buy the Super Mario Run game in order to briefly experience a part of my childhood again on a device that I always have with me. Nothing more. I stopped doing console gaming by the time I was about 14 or 15 years old. Those days are over. Nobody is going to buy an underpowered console. They'll buy a new iPad that'll be able to play any game (with a selection of thousands) and have a device for every other use, be it spending all day at Facebook and other crap. Just port old games from the console. It'll be easy (there is already emulators for mobile (android and iOS-JailBreak). Practically no resources. Charge a single dollar for each game. No risk in there.